Many of us have heard about malt extract and its uses as a dietary supplement to treat certain health conditions. However, not many people know for sure the answers to the question, what is malt extract, how good can it be for our health, what kind of diseases it can treat and ward off, and what kind of side effects are linked to talking this interesting natural remedy. What you should keep in mind if you are wondering about the issue is the fact that actually there are two types of malt extract: dry malt extract and liquid malt extract. Both of them are well know and have been used for over a century. Dry malt extract is very often used in the brewing of beer as a part of “malting” process, or the stage of breaking down complex sugars into simple sugars. Liquid malt extract can also be used in producing beer, as well as making whiskey. Both dry or liquid types of malt extract can also be used as a dietary supplement which can provide our body with plenty of essential nutrients, this way bring plenty of benefits to our health. If you are wondering what is malt extract, you can imagine a sweet thick syrup (that is going to be liquid extract), or dried powder (which is dry malt extract). Some experts say that it is preferable to use the latter type of the extract since liquid malt extract is quite messy, is harder to preserve, and simply harder to work with. At the same time, liquid extract can be used with various culinary purposes, especially for flavoring ice creams, milk shakes and other types of shakes which are very often used by those who are working out and trying to improve own body shape. Sometime dried malt extract goes in the form of granules, which can be used for such a purpose as distilling liquids. Both types of malt extract can play a role of an excellent dietary supplement, highly valued for its rich nutrient content, sweet taste, and numerous health benefits. 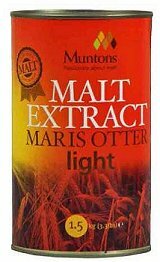 It is possible to consume malt extract in any form suitable for a particular person, by simple adding it to the daily diet. Studies have given a clue about very rich nutrition content and high values of malt extract as a natural source of numerous vitamins and minerals. It is rich in vitamin B2, vitamin B3, vitamin B6, vitamin B12, as well as in such minerals as zinc, phosphorus, iron, magnesium, calcium, and others. However, many experts underline that plenty of amino acids should be considered the most valuable nutrients in malt extract. These nutrients play very important role in protein building in the body, as well as support the function of most of the body organs and systems. Thus, consuming this natural extract can provide our body with extra energy vital for our daily activities. Due to a high content of vitamin B complex, this extract can contribute in speeding up metabolism, and the mentioned minerals are absolutely essential for supporting bone health and supporting the function and quality of muscle tissues. Certainly, it is very important that malt extract offers the best opportunity to obtain these nutrients in a preferable natural form, not as synthesizes ones. And, certainly, in order to enjoy the mentioned benefits one should not choose consuming the extract in the form of beer or other fermented alcoholic beverages. The only way to harvest the benefits is to use liquid or dry malt extract suitable for use as a dietary supplement. Many experts warn that there is a possibility to suffer from minor side effects while having a treatment involving malt extract. Those include digestive problems like gas, bloating, vomiting, etc. Allergic reactions are also among common unwanted side effects of using mat extract. It is strongly advised to consult your health care provider or a qualified health care specialist prior using malt extract as a treatment. If you want to purchase this natural remedy and find an answer to the question what is malt extract from you practical experience, check out this important information.